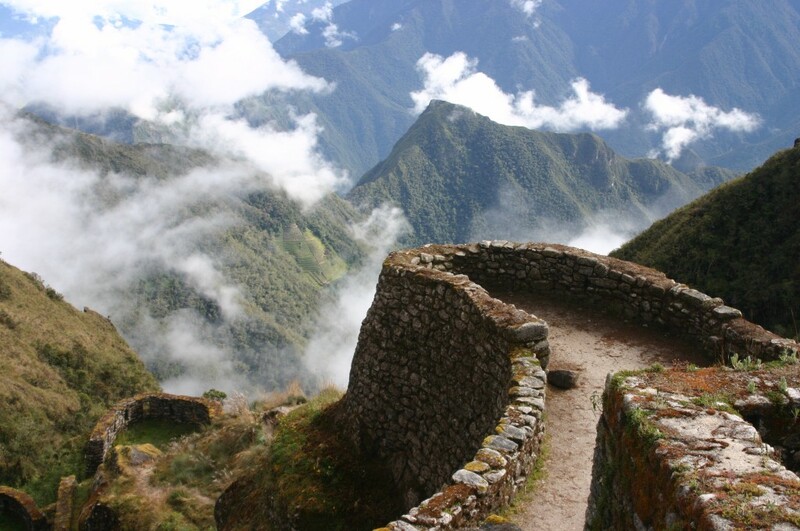 The Inca Trail to Machu Picchu is the most famous hike in South America. 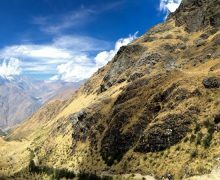 Our expedition takes us through subtropical jungle, lush cloud forest and over stunning mountain passes until we arrive at the ancient site of Machu Picchu - the Lost City of the Incas. 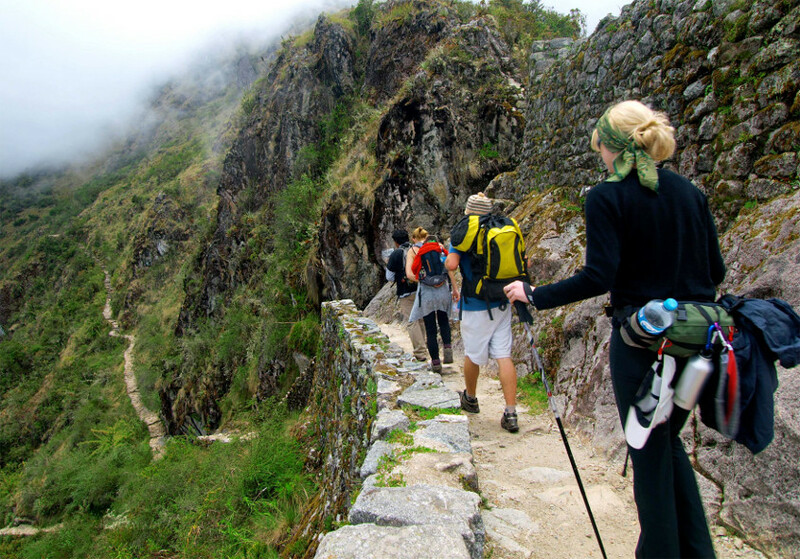 Our Peruvian guides lead the way on the well established trail, which was used for making the pilgrimage to Machu Picchu in the 15th century. There are many spectacular, ancient sites to see along the way. We set up camp in the evenings and eat hot, delicious, prepared meals. No heavy lifting is required; our porters will do it for you. 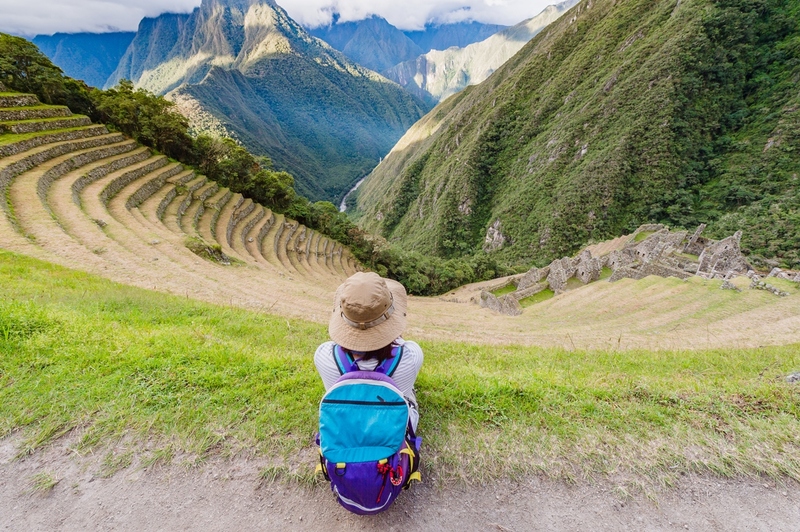 Just grab your daypack and camera - the wonders of Peru await! 2017 TRAIL PERMITS ARE ALMOST GONE! INQUIRE NOW AND RESERVE YOUR SPOTS. 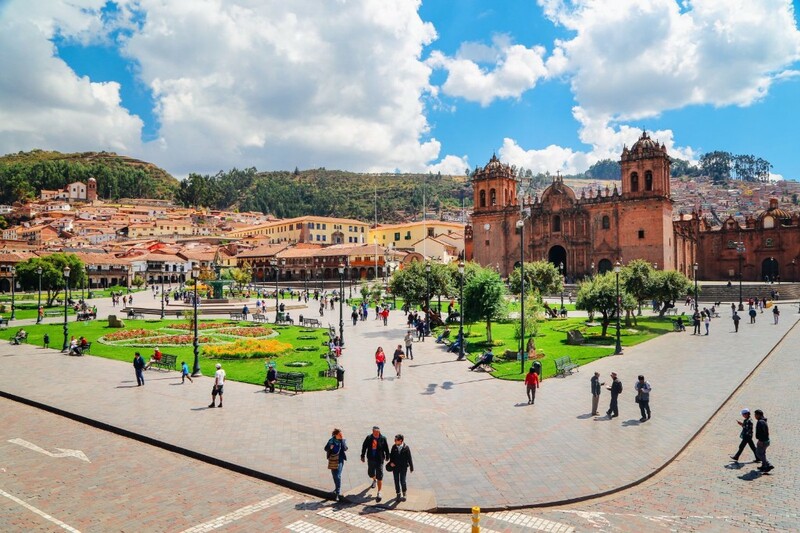 We meet in Cusco, the ancient capital of the Inca Empire. Spend the day enjoying the culture, food and nightlife (but it's best not to consume alcohol before your trip because it impedes altitude acclimatization). 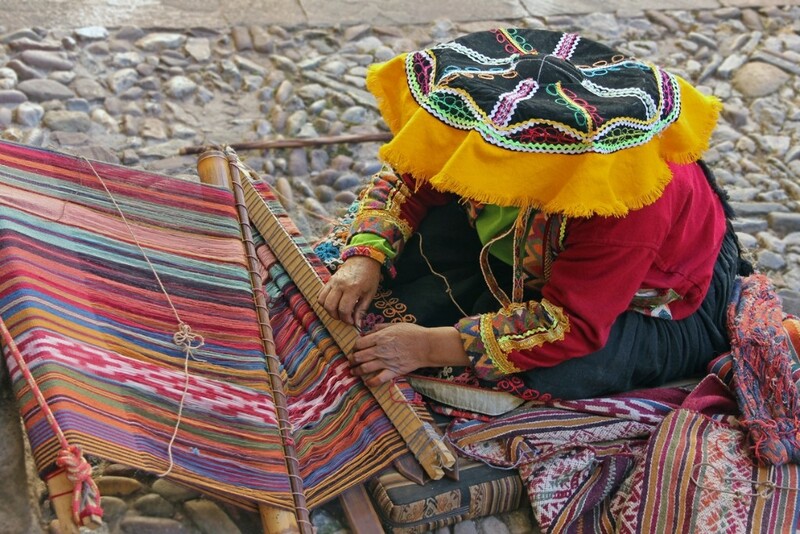 On the streets, you can observe traditional weaving of colorful handicrafts. 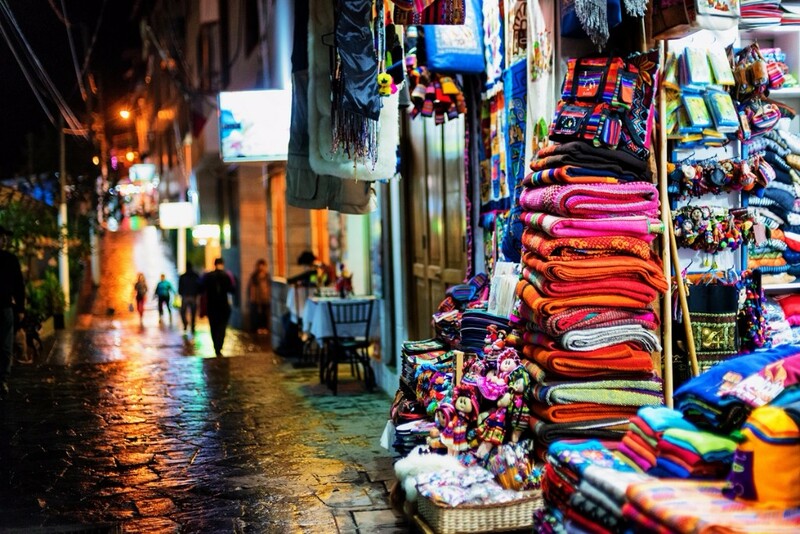 Since 2500 BCE, it has been an important part of Peruvian culture. 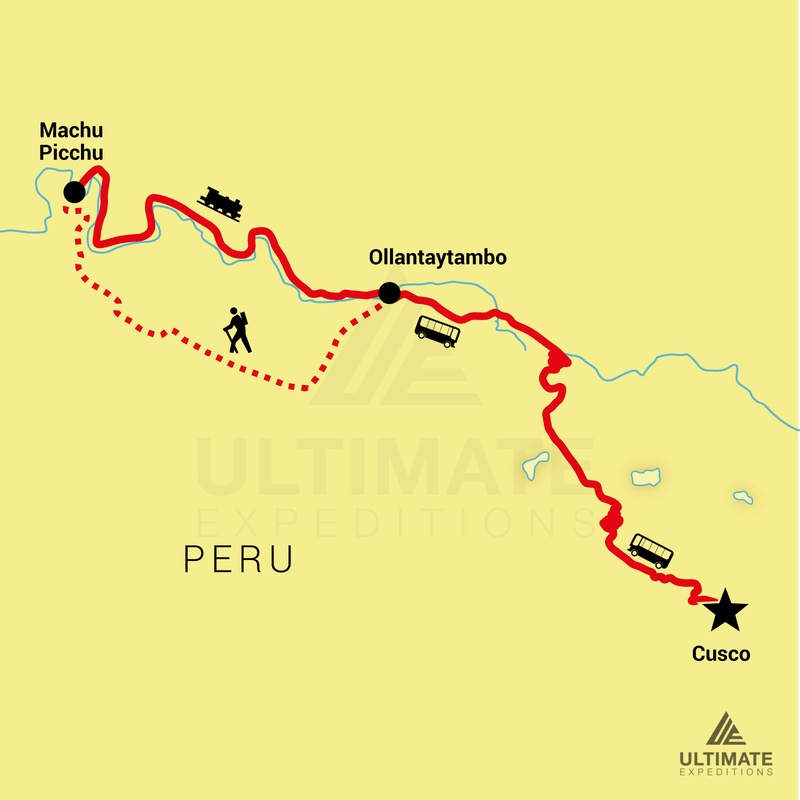 The Inca Trail begins at Kilometer 82, where we sign in at the park entrance and cross the rushing Vilcanota River. The trekking is relatively easy along a well maintained stone path. You only need to carry a small daypack as our porters will haul the rest of the supplies. 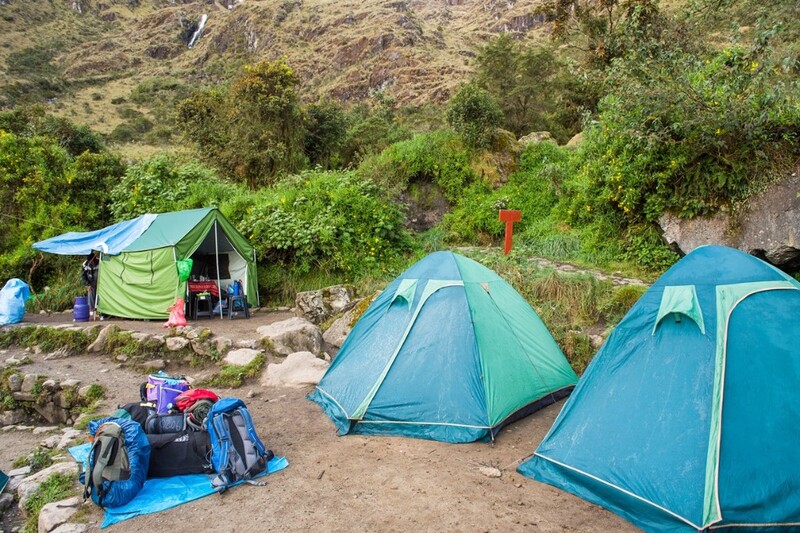 In the evenings, our staff will set up your comfortable sleeping tents and dining tent. All meals are prepared by our cook. You don't have to lift a finger. Dead Woman's Pass is the highest point of our hike, at 13,800 feet above sea level. This is a challenging part of the trail. It is very common to be among or above the clouds. Let your imagination run free - what would it have been like for the ancient people to make this journey? We will take breaks often to allow for photos, rest and just to take it all in. Many memories will be created here. 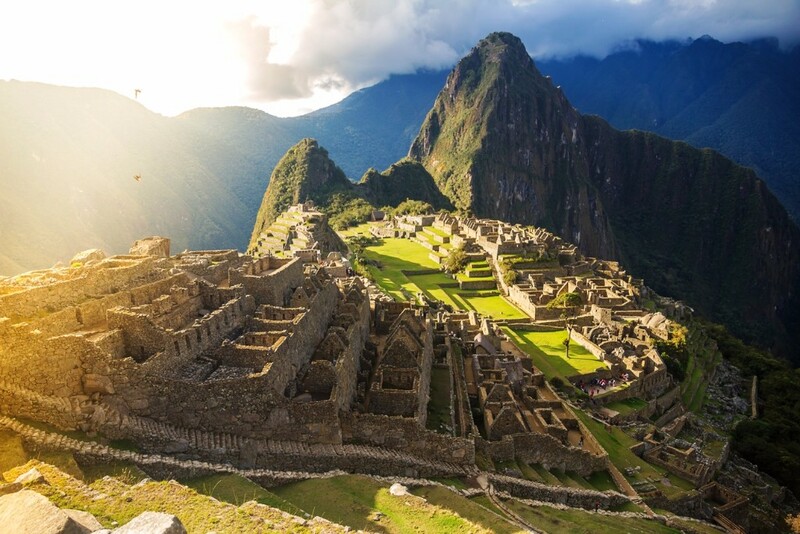 Watching the sun rise above Machu Picchu is a glorious site. The citadel sits at 8,000 feet in elevation. It's dry stone walls were built entirely without the use of mortar. It's exact former use remains a mystery. After a guided tour of the ancient city, you will have plenty of time to explore on your own. Or make some friends. Afterwards, we take a bus to Aguas Calientes, which lies in a deep gorge below Machu Picchu. It's a good time to do some shopping. Trying the delicious local cuisine is a must. 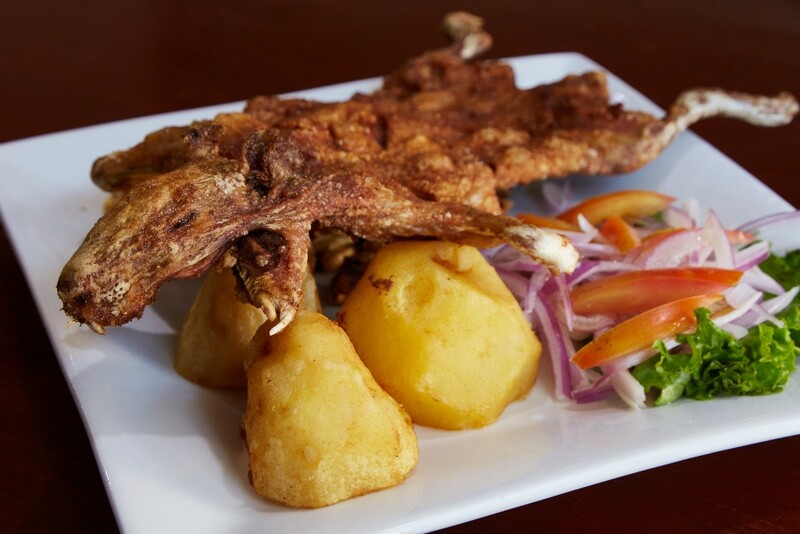 The more daring eaters can experiment with this Peruvian specialty - cuy - roasted guinea pig. 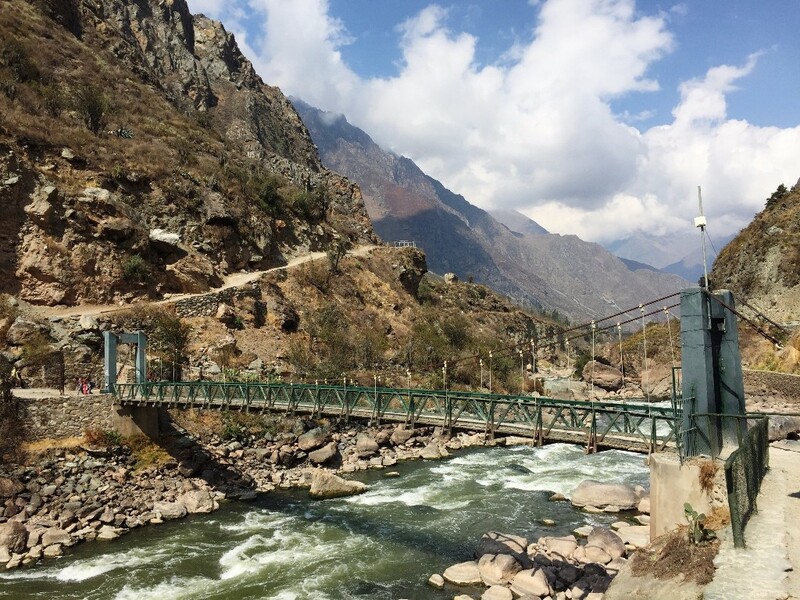 We return by train to Ollantaytambo, before taking a bus back to Cusco to complete our trip. 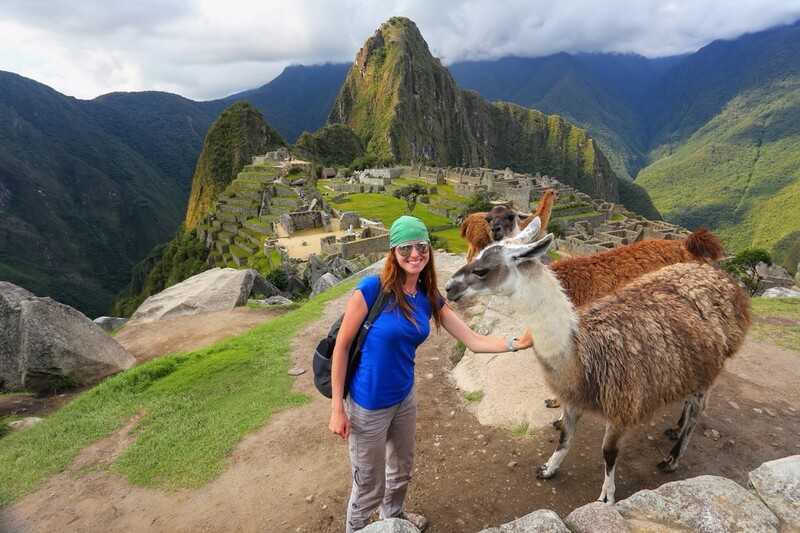 Our 7 Day Inca Trail to Machu Picchu trip includes airport transfers, ground transportation, accommodations, park fees, meals, tents and sleeping pads, and the services of Ultimate Expedition® guides and porters. Embark on this adventure for just $1,550 per person.